Immerse yourself in Karma Resorts’s Easter Extravaganza, a fun-filled journey for the entire family. Share in the traditions, indulge in the cuisine, release your inner child and let Karma bring your Easter Holidays dreams to life in our tropical playground. Karma Kandara celebrates Easter with a host of exciting events for young and old, with the hottest international DJs and acts lining up at Karma Beach Bali such as Ibiza’s Balearic legend Jon Sa Trinxa, UK’s Diplomats of Soul: Mike Allin & Ralph Tee, Neil Scott & Australia’s finest musicians The Groove Academy, and many more. 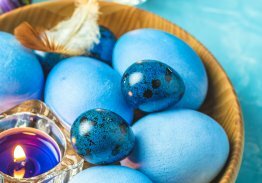 At Karma Jimbaran Easter is celebrated with 5 star culinary experiences, movie nights under the stars, poolside DJs, live music and a range of fun Easter holiday events for the family for an unforgettable Easter holiday.